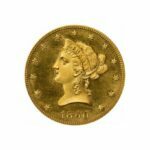 Daniel Frank Sedwick Coins is excited to present their 19th Treasure, World, and US Coins Auction on May 18th and 19th, 2016. Two auction sessions each day are presented with a total of over 1700 Lots to chose from. 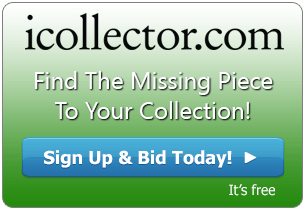 Online bidders can join bidders from around the world and bid real time for fun and to build their collection. 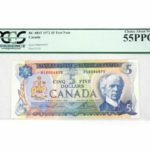 Everything is up for grabs on the auction block including Gold, silver, bars, cannons, treasure chests, Latin American and worldwide prime quality numismatic single coins and collections, as well as amazing treasures and coins from the US. Online registration is available and bidders should get their accounts ready to go as soon as possible. Absentee bids can be left for those unable to be part of the live auction. The opening session is on May 18th and begins at 1PM Eastern Time. This session features gold cobs, world gold coins, and US coins. Featured are three lots from Lima, Peru listed at Lots 13, 14, and 15. The first one up is a cob 8 escudos, 1710H, encapsulated NGC MS 61 and is from the 1715 fleet. This is a choice specimen with full second date in legend. At Lot 14 is cob 8 escudos, 1711M, also encapsulated NGC MS 61. From the 1715 fleet, it is in Mint State with very light sediment on fields. Finally, presented at Lot 15 is another treasure from the 1715 fleet. 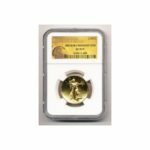 This cob 8 escudos is 1717M and encapsulated NGC AU 55. It is a super crisp and well centered strike with no doubling, and is in Mint State with no flatness anywhere but slight surface graininess. All three of these lots have full descriptions and photos available in the online catalog. Bidding opens at competitive prices. Later in the day, at 5PM Eastern, the second session starts up. This session presents an amazing selection of Shipwreck Ingots and Silver Coins. 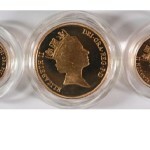 The top highlight is a once in a lifetime buy for gold collectors. Lot 289 is a gold disk with cut edge that is 1438 grams. As described in the online catalog: “ fineness XIX••• (19.75K), foundry / assayer STN / DTS (? ), from the Atocha (1622), ex-Christie’s (1988). 4″ in diameter and 1/2″ thick. Impressive disk with lots of markings (four fineness, two foundry / assayer and four circular tax-stamps) on flat top, tangential piece removed from edge in its time by shallow chiseling and deep breaking (with encrustation in crevices of break), much copper color on surfaces, great pedigree.”. Bidding opens at $45000 and this is valued as high as $75000 at auction. May 19th also delivers 2 auction sessions. The first one opens up for bidding at 9AM Eastern and features a selection of silver cobs from Mexico, Lima, Potosi, and many others. Highlighted at Lot 645 is the piece of the session. This is a Mexico City cob 8 reals Royal, from Phillip III. It is of unique (unlisted) variety with GRA-x-TIA in legend and weighs 26.30 grams. The full description is available in the online catalog and bidding opens at a great price of $10000. 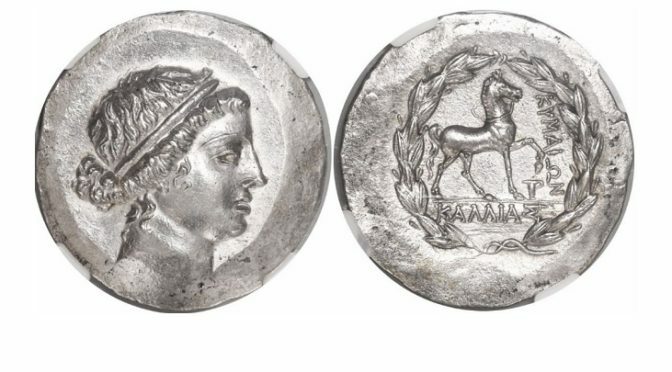 The final session begins at 4PM Eastern and features a top class selection of ancient and world coins, medals and tokens, shipwreck artifacts and documents. The superstar of the day is presented with pride at Lot 1673. This is a complete gold “wedding” chain, uncleaned with shells attached, and 291.13 grams in total. It is housed in a presentation case with the original 1976 certificate hand signed by Mel Fisher (and others). This is a magnificent and highly important Renaissance gold chain and is a once in a lifetime buy at auction. Bidding is opening at $100000 and the value of this will skyrocket in the future. A full description and photos are all ready for inspection in the online catalog. Daniel Sedwick will be broadcasting a live audio and video feed for the online bidders for the entire day of the auction. Bidders should browse the entire catalog to see all of the treasures available as it is an extensive list. All inquiries can be filled by speaking with renowned experts by calling the auction house at anytime during business hours.